When making the choice between repairing or re-roofing it can at first, be a confusing choice - particularly when at face value a repair may seem cheaper. But long term, more often than not, this isn’t the case. SO, WHAT ARE THE BENEFITS OF A RE-ROOF? Many times, whole roof replacement is much more economical in the long term. It’s a good idea to consider replacing the entire roof in one go while the project crew is already on-site with scaffolding, ladders and equipment. Even if only a section of your roof is showing the tell- tale signs of needing repairs, it’s likely that the rest of your roof will be following suit in a few years – which means a second project, second crew hire and a second round of costs.If you have a roof with isolated or minimal damage, a roof repair can be a reasonable solution. If, say, the damage is a few missing tiles, this is an easy repair (particularly if the replacements match the existing profile and colour). 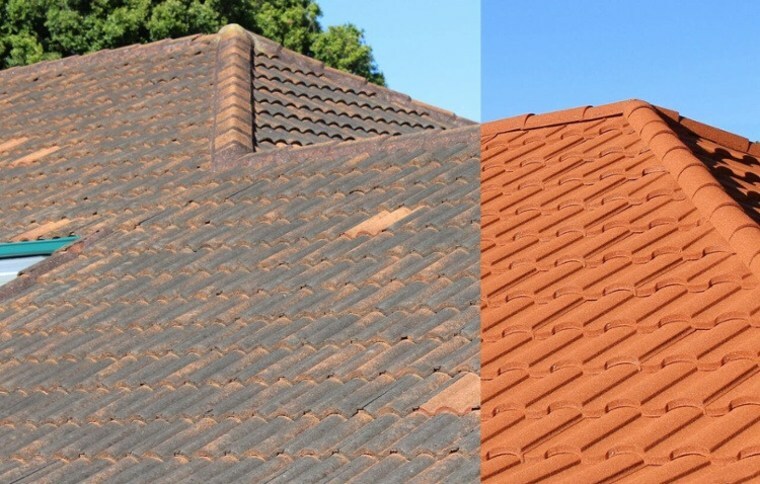 But beware when mismatching your tiles that this can be an eyesore or worse – it could signal an untrustworthy roof (which can be particularly detrimental if you plan to sell your home in the future). To find out how easy a re-roof can be, check out our interactive tool “Re-roofing made simple” where we clear-up common misconceptions and questions about the process. WHAT SHOULD YOU CONSIDER BEFORE RE-ROOFING? 1. What’s the age of your roof? This is a major consideration. Different types of roofs and roofing materials will all have different lifespans. But as a rule of thumb, if your roof is between 20-30 years old, you may want to seriously think about replacing it, as it will be old technology. If your roof is relatively brand new (5-10 years) then a repair is reasonable, but this depends on the roof type and quality. When thinking about roofing repairs versus a new roof, it’s important to consider your budget (current and long term). If you can make the investment for a new roof now, it could save you more down the track. 3. Are your roofing materials right for your area? Are your current roofing materials right for your home’s design and location? Is there a possibility that your first roof wasn’t installed appropriately for these conditions? If this is the case, a new roof will be a much more cost effective solution over time. Read here all about roofing materials. 4. Is your roof easy to maintain? Maintenance prevents deterioration (mould, moss, rust, cracking), and if maintenance is difficult then this can lead to future problems and can be a recipe for large expenses further down the track. Need further guidance? Download the free eBook, “To re-roof or not to re-roof?” and learn about the benefits of re-roofing in the long run.